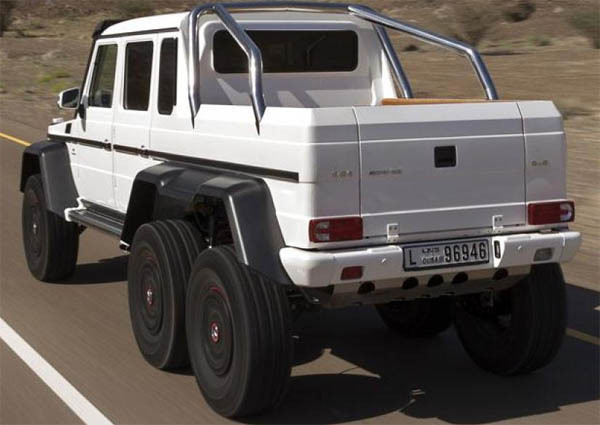 Mercedes-Benz G63 AMG 6x6 in its second year of production. 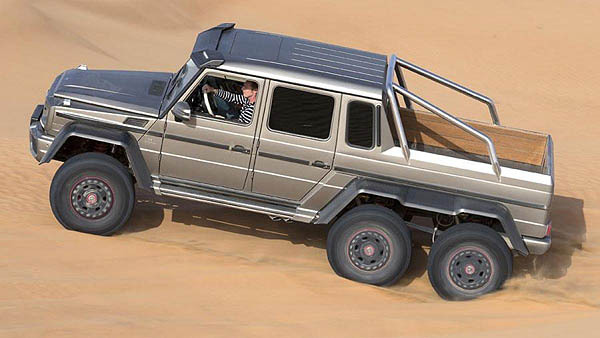 The specially modified G-class now starts at €456,900 for the 2015 model year, or approximately $633,765. A handful of new standard features account for this increase: a heated windshield, heated mirrors, and an auto-dimming rearview mirror, features that were not standard during the inaugural year of production, for some reason. This variant of the G-class entered limited production in 2013, powered by a 5.5-liter twin-turbo V8 producing 544 hp and 560 lb-ft. These performance figures gave it a 0-60 time of around 7 seconds, according to Mercedes-Benz, with all that power being channeled to the all-wheel-drive powertrain via a seven-speed automatic transmission.